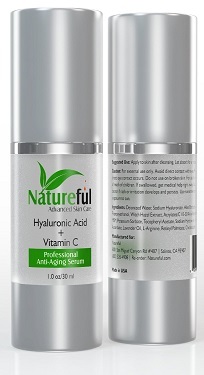 What does Natureful Hyaluronic Acid with Vitamin C Serum do? This luscious serum gives your skin a deep blast of hydration, plumps-up the underlying tissues and accelerates cellular renewal. The Natureful Hyaluronic Acid with Vitamin C Serum also reduces fine lines and wrinkles, minimizes the signs of aging, such as age spots and sun spots, evens out your skin tone, increases the firmness and elasticity in your skin and gives you a younger, fresher and more vibrant looking complexion. This serum is good for anyone who wants to reduce the signs of aging on their skin and rejuvenate their appearance. So if you have a few fine lines and wrinkles appearing, your skin is quite dry and doesn’t feel nice and soft or your complexion has lost its freshness, this serum is a great pick! The best way is to cleanse your skin and pat it gently dry, then leaving your skin damp, apply a small amount of the serum to your face and neck area. Once the Natureful hyaluronic serum has absorbed into your skin, you can apply your favorite moisturizer and makeup as desired. This serum is 98% natural and 72% organic, it is alcohol and paraben free and is made in the USA in an FDA registered facility. You have a 60 day, no questions asked, money back guarantee with this serum. Hyaluronic acid is a carbohydrate rather than an acid and is a powerful hydrator. It can absorb more than 1000 times its own weight in water and is known as the fountain of youth because of how deeply it can penetrate and hydrate our skin. Our bodies naturally produce hyaluronic acid, but this reduces over time leading to dry, flaky skin with associate with aging. That’s one of the reasons why a baby’s skin feels so velvety soft, because their skin has high levels of hyaluronic acid. So a serum that includes hyaluronic acid will add lots of moisture to your skin, plumping it up and giving you a more youthful and softer appearance. In addition to adding moisture to your skin, hyaluronic acid is essential for the production of collagen in our tissues. So if our levels of hyaluronic acid are low, our cells don’t produce as much collagen. This is one reason why your skin starts to lose its firmness and become drier as we age, because we need more hyaluronic acid in our tissues. Vitamin C is a powerful antioxidant that helps to reverse the signs of aging caused by air pollutants and free radicals. Skin spots and uneven skin tones are reduced and your skin looks younger and fresher. It is also essential in cellular repair and promotes the production of collagen. So serums that contain hyaluronic acid with vitamin C, give you a powerful blast of hydration with a super boost of antioxidants, resulting in a younger, fresher and more radiant complexion. 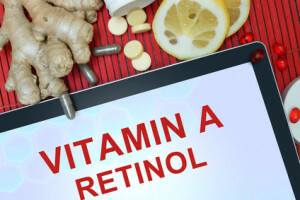 This is a fat soluble vitamin which can converted to Retinol in the body. 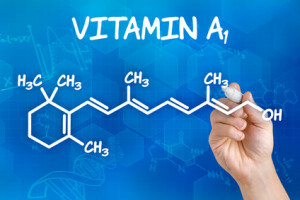 Vitamin A is a strong antioxidant and helps to reverse the signs of aging on our skin, caused by free radical damage. Vitamin A also helps to promote the production of collagen in our skin, which reduces the sagging effect of aging, as well as fine lines and wrinkles and plumps-up our skin giving us a more youthful appearance. Its exfoliant properties assists in promoting cellular renewal and also prevents our pores becoming clogged with dead skin cells, reducing the likelihood of acne. Overall, your skin looks healthier, brighter and younger. The advertising states that this serum contains Retinol, however the ingredients state that it contains retinyl palmitate. This is an ester of Retinol and palmitic acid that increases cellular repair and stimulates the production of collagen. So retinol helps to remove dead or flaky skin, reduce fine lines and wrinkles and minimizes hyperpigmentation. It is sometimes referred to as Vitamin A palmitate. 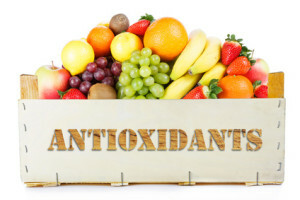 Another strong antioxidant, vitamin D helps to reverse the signs of aging caused by free radicals and is also essential to wound healing and skin repair. As we age our body’s production of vitamin D reduces and so serums with vitamin D help our skin cells to rejuvenate and repair themselves faster. 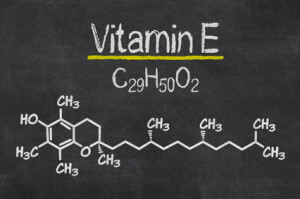 Yet another powerful antioxidant, vitamin E has long been used in skin care products for its ability to smooth and moisturize our skin. Serums with a strong combination of antioxidants are better able to even out our skin tone, remove age spots and give us a more youthful and healthier complexion. L-Arginine is helpful in the production of collagen and in wound healing. It helps to repair cellular damage caused by free radicals and helps to rejuvenate our skin. MSM is a compound of sulphur which helps other hydrating ingredients to deeply penetrate our skin. It facilitates the hydration properties of the other ingredients and also helps with cellular repair. Sulphur has long been used to help in the treatment of acne and in healing acne scars, but it also aids in reducing age spots, uneven skin tone and in eczema and psoriasis. An old anti-inflammatory remedy with astringent properties, Witch hazel is used to help in cellular repair. It reduces itchiness and irritation in the skin and helps to reduce the effects of dry, itchy skin in eczema. Witch hazel also acts as a moisturizer as it helps to prevent the loss of water from our skin. 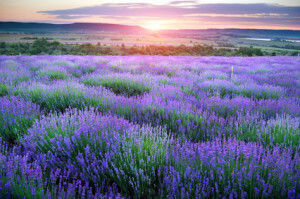 Long used in bath water to soften the skin (there are reports of even the Romans using lavender oil in their bath water), lavender oil has a beautiful scent and helps to reduce inflammation, treat redness, burns and eczema in our skin. PROS: 85.0% of customer reviews gave this serum a 4 or 5 star rating. Positive comments included that this hyaluronic acid with vitamin C serum is very light and has a beautiful fragrance. Also, customers like that this serum is very cost effective, plumps-up your skin and reduces fine lines and wrinkles very well, it also evens out your skin tone and is great for reducing age spots on the hands. CONS: No reviewers have given this serum a one or two star rating, one did give it 3 stars and said that it only worked ‘a little’. Just ordered my second bottle. My face no longer has that “tree trunk” look. It is very affordable and makes me feel like a million bucks. Try it!!! I wear a lot less make up now. I absolutely love this serum! I definitely noticed a difference in my skin’s complexion after using this product. 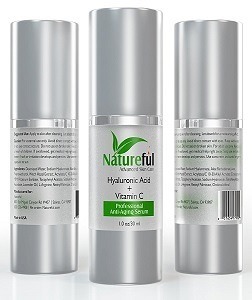 Does Natureful Hyaluronic Acid with Vitamin C Serum work? Just about all of the reviewers tend to agree that this is a great serum and works as advertised. This Natureful hyaluronic acid serum is a very affordable price and is also very cost effective, as a little goes a long way. It is very nicely packaged, delivery is fast and customer service are very helpful. Given its ingredients, I would have no hesitation in recommending this serum for people who need to refresh and hydrate their skin. 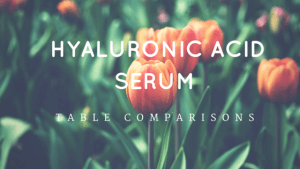 Compare the Natureful Hyaluronic Acid Serum with other serums.